Kate Bush, one of the UK’s most iconic and unique singers was today awarded a CBE by the Queen and immediately dedicated her honour to both her family and all the people she had worked with during her long career in the music industry. 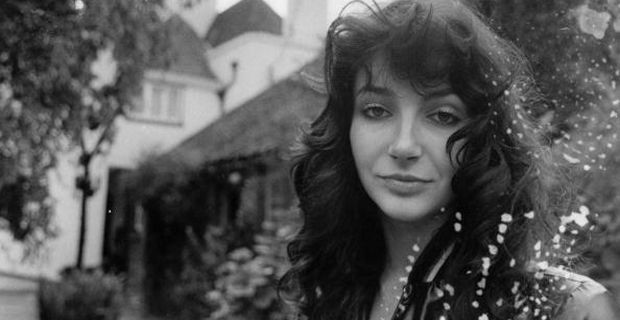 With 10 albums under her belt, Kate Bush had her first number one hit single all the way back in 1978 with Wuthering Heights which was also her debut single. Her career never followed a particularly obvious path which is what made her both so ethereal and so endearing. Her list of hits includes songs like, The Man With The Child In His Eyes, Babooshka, Running Up That Hill, Rocket Man and King Of The Mountain, but somehow it was the overall tapestry of her music from the better known to the lesser known that made her sound so distinctive. Over the years the 54-year-old Kate Bush has collaborated with a star studded cast of left of centre artists like Prince, Peter Gabriel, Elton John and Eric Clapton. Bush was that very rare pioneer – a singer songwriter who entirely defined her own sound, wrote her own songs and controlled her own career. She relied on no-one like so many female singers who were either heavily managed or reliant on outside writers. She never used sexuality as a means of furthering her music – something the current crop of divas would do very well to take notice of, she never played the celebrity game and she always remained a private soul, letting her music speak for her. She declined to speak to the press after being made a CBE by the Queen at Windsor Castle, but she did put out the following statement. "I feel incredibly thrilled to receive this honour which I share with my family, friends and fellow musicians and everyone who has been such an important part of it all. "Now I've got something really special to put on top of the Christmas tree."